The danger with inexpensive synthesizer projects is it’s easy to justify spending money on them once they are in hand, and frequently end up being more expensive than if you just went out and spent eBay retail on the same board. 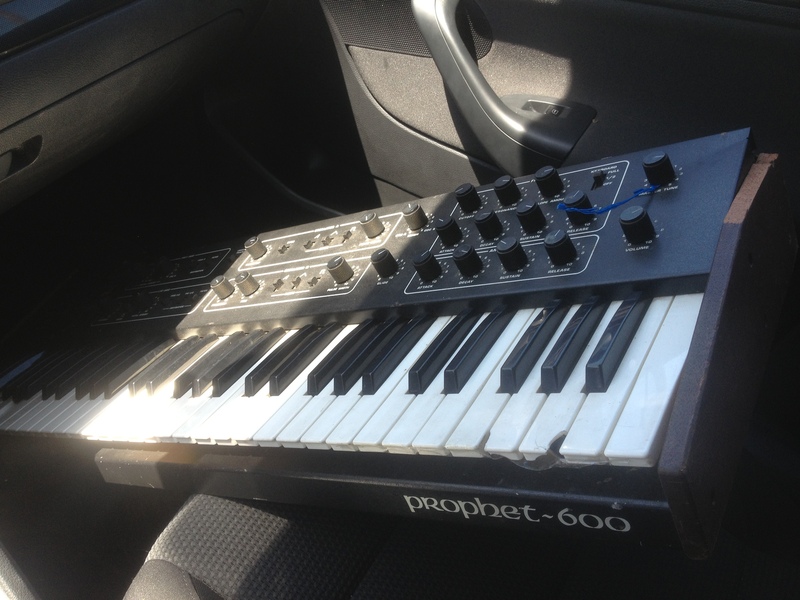 I can type the sentence, I can say the words, but when a $200 Prophet 600 was listed on Craigslist, you know I just had to make a play for it. The seller responded to me by calling about 6 hours after I sent my ‘Is it still available’ email -which seems funny because I asked that question about 7 minutes after it was posted. All the seller could tell me was that it didn’t power on and had some broken keys. We met up the following morning and a deal was struck. JD was a stand up guy for being true to his ‘first to come’ statement -even after receiving a lot of emails. In the car. I’ve seen worse. I’ve started with worse. My big fear was that the voice chips were missing, so I opened it up before buying. All chips were in place, as were a lot of debris and mouse turds.